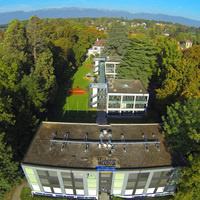 Webster University Geneva is the Swiss campus of Webster University based in St. Louis, Missouri, USA. Founded in 1978, Webster University Geneva was the university’s first international campus and is currently its largest one outside of the United States, with approximately 670 students from 90 countries (470 undergraduate and 200 graduate students).Webster University operates as an independent, non-denominational university with nearly 100 campus locations around the world. Wat time today? So much excited to meet her! You need more topics and you can find them on https://nsw-writers.com/top-fantasy-and-sci-fi-schools/. I can help you to find them as it will be hard for you to look at them. To install the latest version in Windows to see this update online, http://windowstuts.net/synchronize-settings it's the best way to get more settings Windows 10 to easily download online for a safe way to work, so follow online. Top ! Thx Dr Jolly !